Testosterone has many functions in the human body. Aging, disease, and lifestyle can result in depleted levels of testosterone causing changes such as fat increase, bone mass loss, muscle mass loss, loss of libido, erectile dysfunction, fatigue, and mood changes. 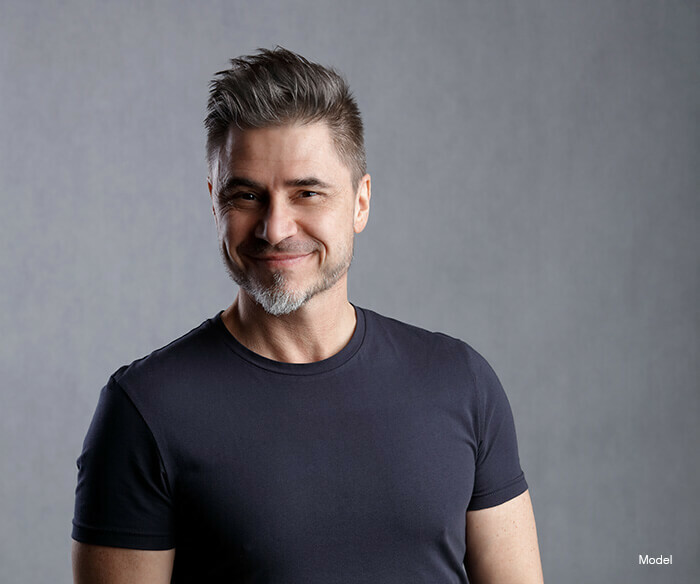 AQ Therapeutics’ Endo-Test aims to combat low levels of testosterone using peptide-specific signaling technology to help boost the body’s natural production of free testosterone. This hormone free formulation activates proteins involved in testosterone production. A transdermal supplement without transferability of active ingredients, Endo-Test is easily applied and can be used by both males and females. Dispense 1 mL (4 pumps) on the inside of forearm then rub forearms together until absorbed. Repeat on the opposite forearm by dispensing another 1 mL (4 pumps) and repeat by rubbing both forearms together until absorbed. Do it until the serum dries. Repeat daily for best results. Milli-Q water, soy lecithin (organic), phosphatidylcholine (organic), pluronic F127-a (polymer), 20-hydroxyecdysone, dehydroepiandrosterone, L-arginine, L-lysine, L-alanine, L-methionine, isopropyl myristate, dimethyl-isosorbide, taurine, cyclodextrin, caffeine, potassium sorbate (preservative), gonadorelin.